A lot of people are writing to ask if Grave Destiny is the final book in the series. I'm very happy to report that no, this is not the end! Ace has contracted one final Alex Craft novel so that I can finish up the story. I'm currently writing the first draft, and while it has a tentative title, I'm not free to share it quite yet. I'll be turning in the 7th Alex Craft novel this September, so I anticipate it will be released late 2020 or early 2021 but will update you when I have more information. So, for those of you worried that this might be the end, worry not. There is more. 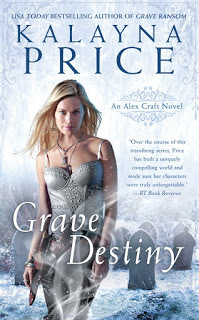 Excerpt for Grave Destiny now Live! Grave Destiny will be hitting shelves (and e-readers and wherever you might listen to audio books) on April 2nd! I can't wait to share this book with you. A lot of big events happen in Alex's world in this one, and I hope you enjoy the chaotic ride. We are only a few weeks away from the release, so I hope you'll check out the excerpt now and be back soon for the full story. If you'd like to help me spread the word about the release and excerpt (and enter to win an advanced signed copy of the book) head over to my facebook page and check out the contest post. Also, I wanted to let you know my schedule for ConCarolinas next weekend (June 2nd-4th). I'm excited to be returning to this con again this year, and it will likely be my only appearance in 2017, so I hope to see many of you there! 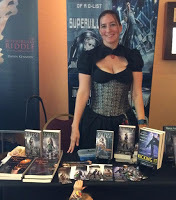 In addition to several panels, I will also have a table at the event where I will have hours posted that I'll be available to sign books or just chat. (I will have a few books with me to sell--not Grave Ransom unfortunately as it is still a month out, but I should have a few of all previous release, as well as some free swag. I don't plan to bring any t-shirts unless someone requests something specific. Please comment here or drop me an email with any special requests you'd like me to pack.) 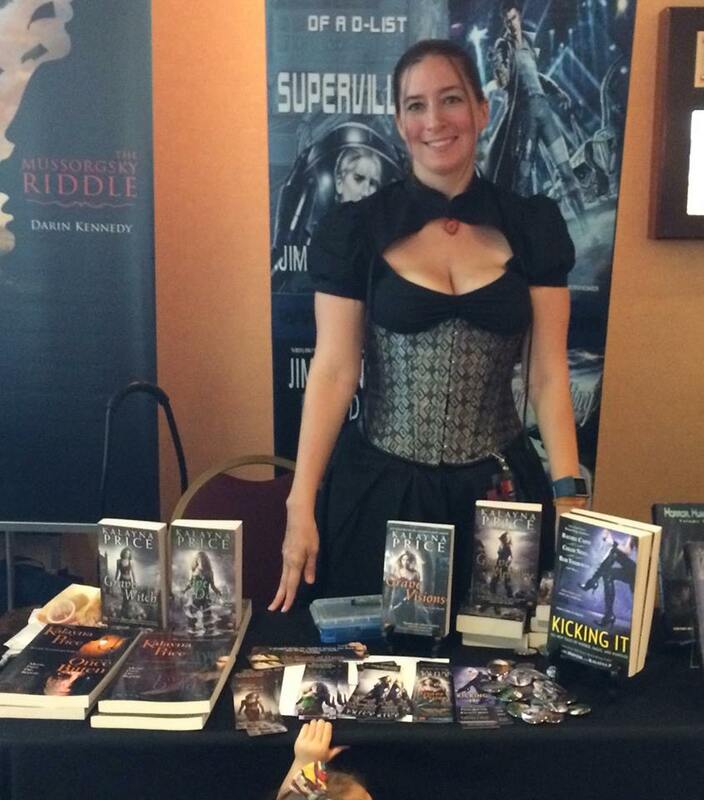 Remember if you see me sitting at my table all alone--I'm shy but I'd love to chat, so stop by and say hi!! I ran into some health troubles several years ago. At first it didn't affect my writing too much, but these things tend to have a ripple effect, and eventually it began affecting every aspect of my life, including my writing. As that happened, I began falling behind and missing deadlines. This caused a good bit of writing-related anxiety, which caused its own snowball effect. I began falling further and further behind. Third Blood got lost. 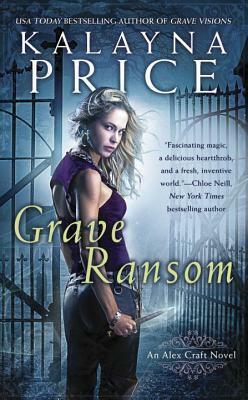 Grave Memory eventually got turned in and miraculously released on time because my editor is a saint. But by that point, things had spiraled out of control. Every aspect of my life was in shambles. Depression had set in, tangled into every aspect of my life. In regards to my writing, I'd fallen so far behind that I'd passed the point of embarrassment, and in my deteriorating mental state, reached a point that opening my laptop caused panic attacks. I stopped answering emails. I more or less fell off all social media. And more devastatingly, I stopped writing. Before this point, I can't really remember a time I didn't write. When I was in school, sometimes I might go a couple months without writing, but even as a child, I can't think of a single year I wasn't creating stories at least part of the time. But now I wasn't writing. I was barely reading. (looking back, I was barely living.) Both my physical and mental health were falling apart. My personal life crumbled, leaving me adrift, and my professional life? Well, the reverberations of all of it shattered my identity as a writer. I was drowning, and I was tired of fighting to swim. I nearly died. When a life boat came, I spent a lot of time shivering and looking shell shocked before I finally made it back to land. But then things got better. Then they got A LOT better. I'm much healthier now. Much happier. But starting to write again was hard. It felt like wading back out into the water, the soft lap of waves at my ankles reminding me of being in over my head and being dragged under. My reemerging identity as a writer feels fragile, the edges still jagged and sharp from where I shattered earlier. So, it has been a slow return. The most important part, the writing, returning first. I have plans to increase my presence here and on social media as well. And of course, to break my hermit-like ways and travel a bit more. Maybe I'll eventually tackle the years of backlog in my email. But those will take time--and hopefully I'll get on point enough to save what is left of my career--but in the meantime, my main focus is back to writing and trying to catch up. GRAVE VISIONS has been fairly well received, and book five is coming together. It is due later this year and should be on shelves in Fall of 2017. There is a sixth Alex Craft book under contract that is projected to release in 2018. I'm not sure what will happen with Alex after that. I'd love to continue her story past this story arch, but we will see. I'm also itching to write some more Briar Darque short stories like the one which appeared in Kicking it (or even a full novel following Briar). We will see. THIRD BLOOD is currently a deconstructed mess on my old harddrive. I haven't looked at it since my hiatus began, but I have every intention of resurrecting it (or possibly starting again from scratch) after I turn in book five in a few months, so hopefully I will have news to share on that front by the end of the year. And that is where things stand. The random number generator has spoken and we have a winner! But first, let me thank all of you who helped me get the word out about GRAVE VISIONS. I hope you enjoy it! And without further ado, the winner of the get the word contest is: Alina P! Alina, please drop me an email at contests@kalayna.com so that I can get your ARC in the mail to you. Win it before you can buy it: A get the word out giveaway! We are one week out from the release of GRAVE VISIONS! I'm so excited I finally get to share this book with you. To celebrate the upcoming release, I am giving away two ARCs of the novel: one here on the blog and one over on facebook. To enter here, simply help me get the word out about the release! You can do this on any media you like--twitter, facebook, goodreads, your own blog, or wherever you would like to announce the upcoming release. You can link back to the giveaway here, share the cover and/or excerpt, or just talk about the series or release--whatever way you would like to help me get the word out! Then come back here and leave a comment with a link to where you got the word out. You can share in multiple locations for multiple entries, but please leave only one link per comment. The contest will be open until Thursday 1/28 at 11:59pm PST. I'll announce a winner on Friday.